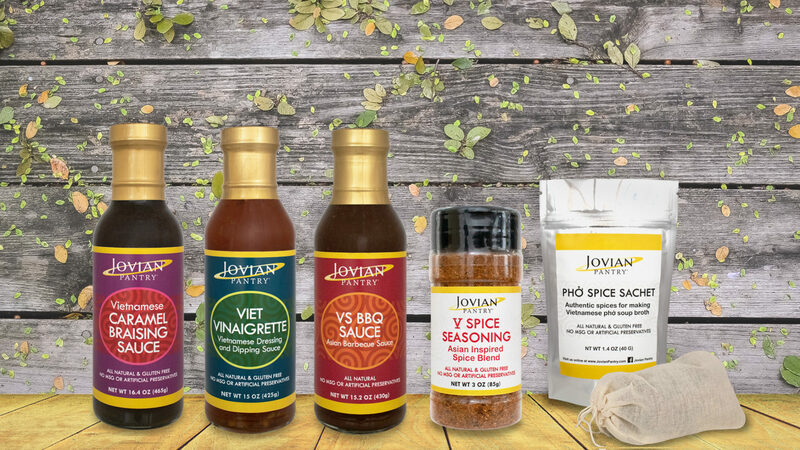 At Jovian Pantry®, we believe delicious food should not be hard to make. Our products are crafted using the best natural ingredients, with no MSG or artificial preservatives. No fuss or muss. Our focus is on all natural ethnic sauces and spice blends. With over 14 years combined experience in the food industry, we were frustrated at the lack of products with authentic flavors but did not contain artificial additives or MSG. So we decided to make our own and share them. Visit our online store to view more about our products and how they can make your meals easy, authentic, delicious.